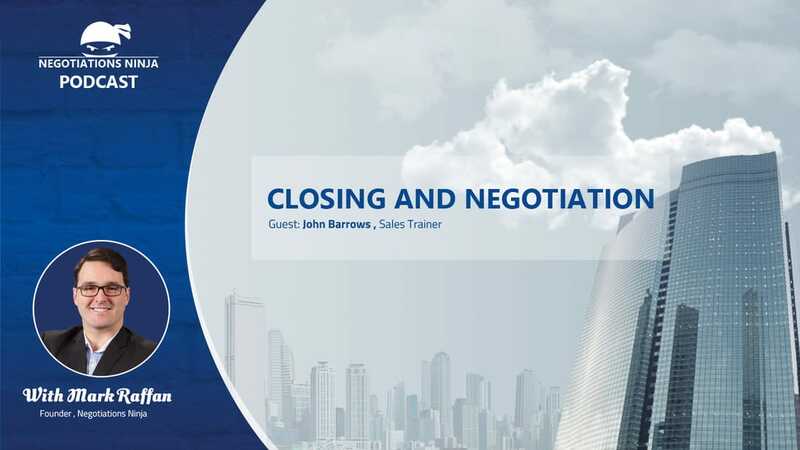 This episode is all about closing and negotiation, how to close and how not to close. And for that we need a closer, so that’s why John Barrows is on the show! John provides sales training services to some of the world’s fastest growing companies, think Salesforce, Linkedin, DropBox, and many others. His previous experience spans all aspects of Sales at every level from making 400 cold calls a week as an inside sales rep to a VP of Sales at his first start up that was sold to Staples. I’m a John Barrows fan. His stuff works. He considers himself a sales guy who also happens to be a trainer, and that makes all the difference in my opinion.